James was signed from St Anthonys after turning in a succession of top notch performances against the Bankies. James was was mainly a defender, but was often utilised in the midfield. Great in the air, James scored four goals in his one and only season at the club. He was also red carded twice in a season that saw Bankies players shown the red card on no fewer than 14 occasions. 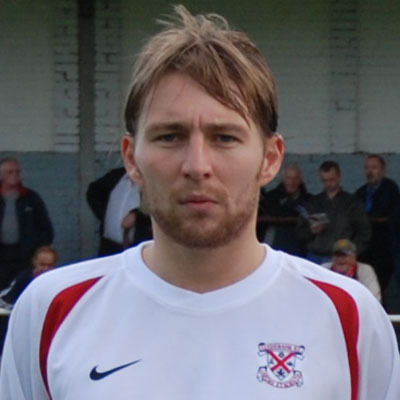 A player that most fans would liked to have signed on for another season, James decided his future lay elsewhere and signed for Kirkintilloch Rob Roy in the summer of 2008. The Bankies visited Tilework Park for the first time since our inaugural season in the Juniors for the West of Scotland Cup first round match against Stonehouse Violet. Despite the district side performing well in the early part of the season, Clydebank marched into the second round with a comprehensive victory.